Restore hydration while reducing the appearance of fine lines and wrinkles for a more youthful, contoured look. Age and sun damage diminish the body's ability to produce and maintain youthful levels of Hyaluronic Acid (HA) in the skin; leading to loss of volume and visible signs of aging. 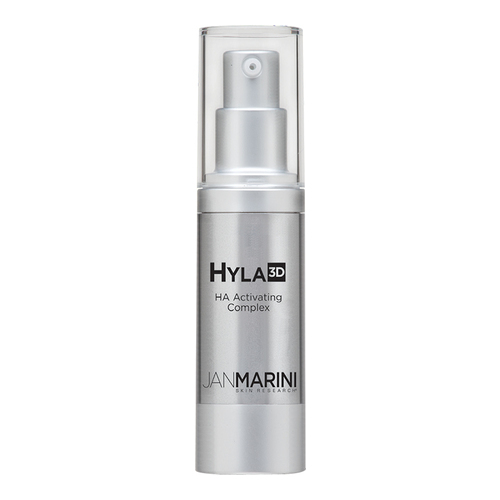 Hyla3D takes a 3-dimensional approach to restore hydration while reducing the appearance of fine lines and wrinkles for a more youthful, contoured look. • Prior to use, leave the plastic lid in place, invert and tap the top of the container several times into the palm of your hand. • If you experience difficulty when dispensing, repeat and pump product into the hand while inverted. • Apply sparingly in the morning and evening over entire face and neck.